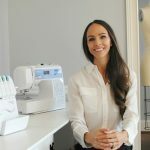 The #modernseamstress is a term I use to describe today’s sewist. 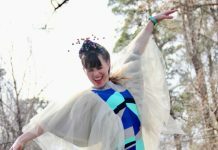 She most likely can re-create patterns from existing garments on last year’s wrapping paper, and loves redesigning clothing into fashion-forward looks. 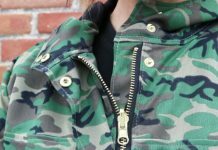 The cut and sew type of person knows the project will somehow work out…usually, although he or she may have a hard time with sewing patterns. I’m pretty much describing today’s seamstress. 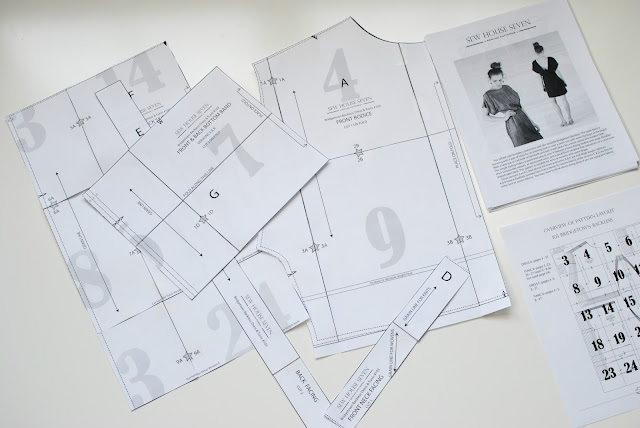 We’ve shunned traditional sewing patterns because of the unnecessarily difficult instructions and outdated looks, using sewing terms you’ve never heard of and you cringe at the thought of nylon paper exploding from the envelope. Now don’t be turned off just yet. There are many modern sewing patterns that are created for today’s seamstresses in mind. 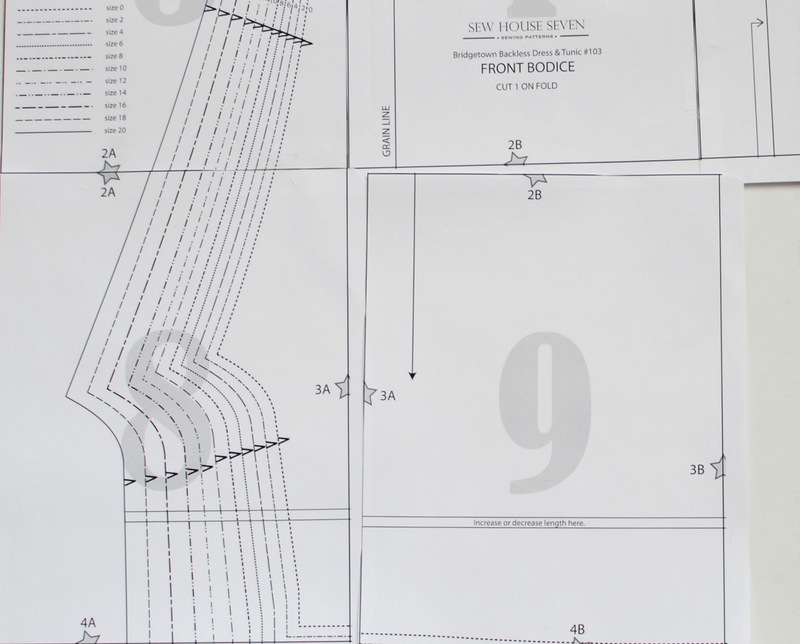 They offer fashion-forward looks with simplified instructions. 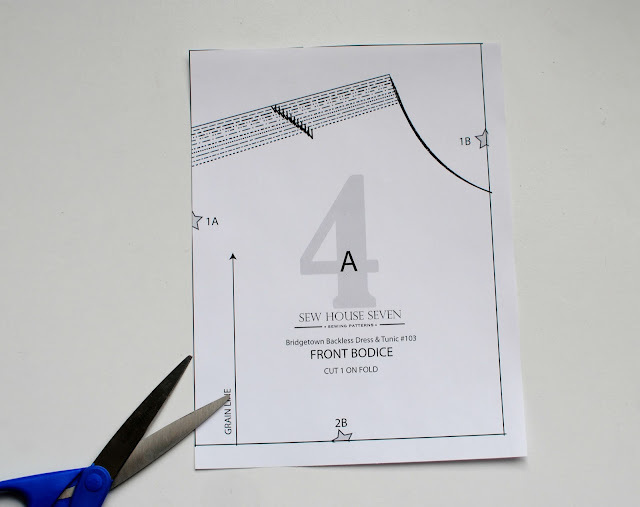 They also come in digital or PDF files you can simply print at home! All you have to do is download, print, and tile the patterns. Learning to create garments from sewing patterns is actually a breeze. It’s also a necessary skill that as a seamstress you should know. 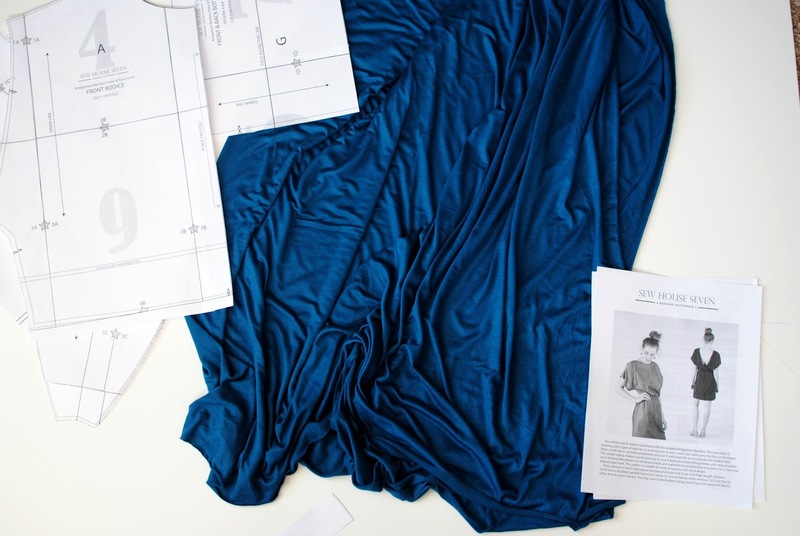 The finished results will be better fitting garments and professional finishes that will enhance your sewing and design skills. 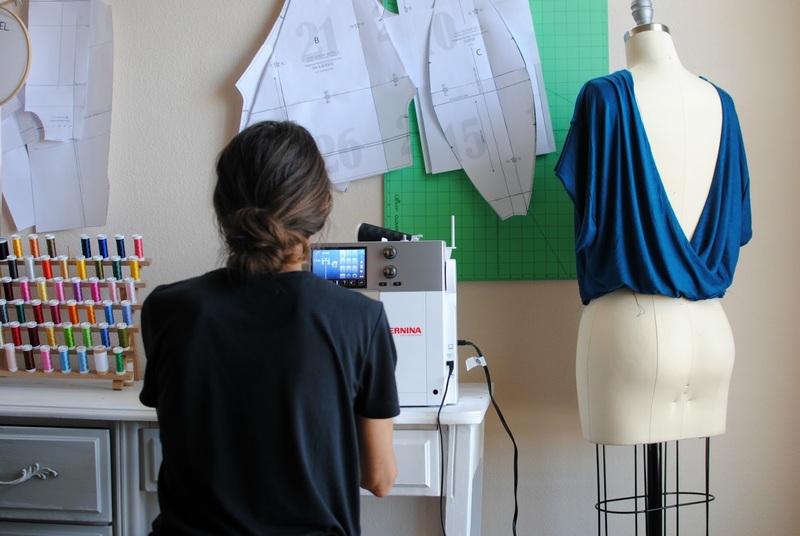 If you plan to work in the garment industry, pattern making and construction is a necessary skill you’ll want to master. 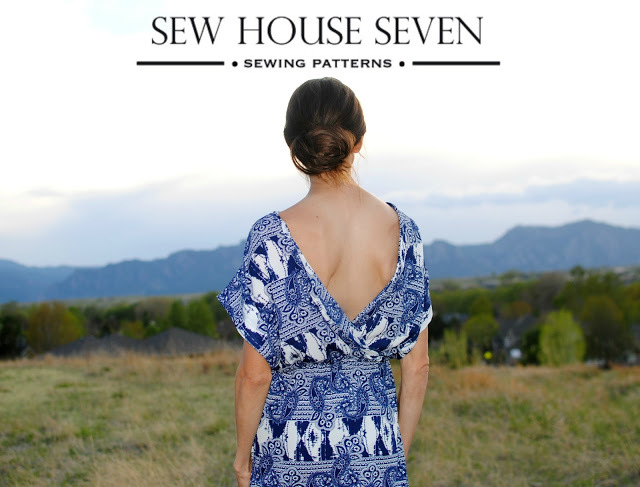 This new series, that I’ll be introducing you to, will use a few of my go-to sewing patterns. I chose Navy Bohemian Print in Wool Dobby from Stylish Fabric and couldn’t resist a ultra soft and drapey knit jersey in teal here. To store your patterns use hangers with clips used for pants/shorts. When I’m done using them for awhile I like to fold them up along the cut lines and place them in plastic storage bags.